Health and safety hazards are constantly surrounding the workplace. Many people think this only happens when your job requires you to operate heavy machinery or work with explosives and chemicals. Whether there is a carbon monoxide leak in the office or and employee gets into a car accident on the way to work, there are risks and potential hazards at every job. 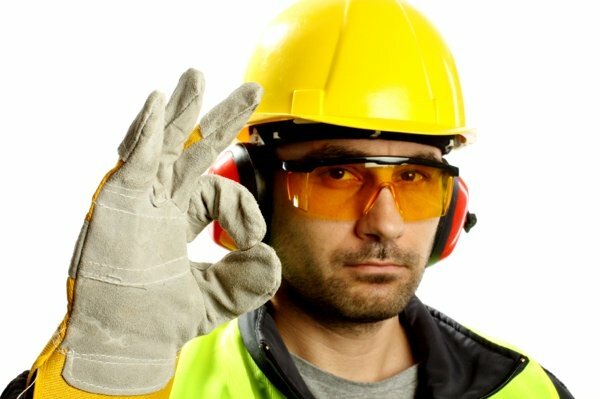 Common workplace health and safety hazards include: communicable disease, transportation accidents, workplace violence, slips and falls, chemical and gas exposure, getting struck by an object, electrocution or explosion, ergonomic injuries and hearing loss. Some hazards are less likely to happen in some work places but it is still important to recognize which hazards are most damaging to your business and employees. Some may pose more serious threats to employee welfare and others will result in the most time lost or be the most costly. The common thread of these setbacks is that thorough planning and outlines can help prevent some of them. The most prominent hazard in this category is communicable diseases such as colds and the flu. When someone is sick they can infect numerous employees at once causing a greater loss for the company being down several staff members. While we all have limited sick time, ask your employer if you are able to work from home if you are ill. That way you are still getting your work done and not infecting others. Your company should cross train employees so that they don’t have to rely on one person to get daily tasks done. It may take some extra time and money but will be good for the company in the long run. There are two prominent types of general preparation employers can take against health and safety hazards in the workplace: job hazard analysis and risk mapping. By following job hazard analysis and risk mapping you are able to examine the procedures you have set in place at your company. Job Hazard Analysis is when you look at how a job is done and what sorts of equipment people are interacting with. Risk Mapping is when you examine liabilities by viewing your physical workplace and facilities rather than considering the habit and duties of your employees. Being overworked, sleep deprivation and cell phone usage behind the wheel are 3 factors that can lead to driving fatalities en route to work. Policies explaining safe cell phone use, taking steps to help your employees with work-family balance and anything you can do to make work hours regular and predictable can help reduce stress for your employees that could lead to distracted driving. Workplace Violence – Non-employees carry out most instances of workplace fatalities. Three quarters of workplace violence comes from robbery. Managers should examine where employees are exchanging or guarding money, interacting with the public or working alone or in small groups during late or early morning hours of the day. Make sure the area you are working in is well-lit, has security cameras and ask your boss if you can scale back your work hours if major security is needed during that time. Falls – Construction and landscaping are the industries where falls may lead to fatalities. Frequent and thorough training on safety procedures for your employees and making sure they understand the safety procedures is key to helping prevent falls at work. Providing instructions for equipment and barriers like guardrails and rope and pulley supports can be used as precautions. Toxic Events – Gas and chemical leaks, and asbestos in older buildings are the most common problems in businesses. Carbon Monoxide detectors should be installed in every location and ventilation systems should be in place. Getting struck by objects or being electrocuted are two other common and preventable ways employees die. The leaders of non-fatal workplace injuries are overextension and incidents of ergonomic problems. They affect people in all industries and office settings and these injuries can lead to chronic conditions that result in loss of work time. Employees that work at computers should sit at a height where your legs reach the ground, have a wrist rest and shouldn’t have to crane their eyes, neck or back. It’s important to have lumbar support and if your chairs don’t have this built in you should ask your employer for a standing desk, cushions for lower back support or a new chair. This doesn’t just happen with old office equipment but when an employee sits at their desk too long. Lifting heavy objects such as boxes of files can result in an accident. A good lifting technique is often ignored when there is limited time or space to get a job done. This can be very damaging to your lower back, knees and arms and should be demonstrated before the task is completed. Rather than lift, lower and carry you can push pull or slide instead. In a manufacturing setting, hearing loss is a common problem that can happen but can be easily prevented. If headphones or ear plugs are not readily available, ask your employers to provide them. Headphones and ear plugs that cancel out high decibel levels can help reduce hearing loss. If an injury is fatal or an accident, a big mistake employers do is have improper documentation. The most cited incident by OSHA is failing to log the injuries correctly or not logging them at all. These documents are not required but if OSHA is looking for them they need to be complete and accurate. Your human resource department can help reduce workplace accidents by educating their employees. Making sure your employees are up to date on workplace standards and local and seasonal threats can be sent out in a monthly email. While giving your employees information necessary to make sure they are in the know, training is the key to being safe at work. Documentation should be set in place to guarantee all employees have been trained. Follow up with your employees to make sure they understand everything they learned during the training and that it is being incorporated into their daily routines and responsibilities. ©2019 Frontier Group of Companies. All Rights Reserved. Web Design in Buffalo by Abbey Mecca & Co.